Built in 1907, the church was moved from the small village of Tilney (just a few miles away) to the museum in 1972. 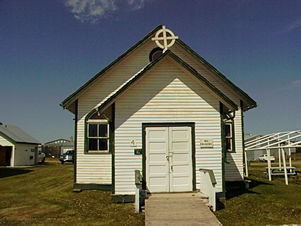 The door near the entrance led to a basement where Sunday School classes met while the adults attended church upstair. 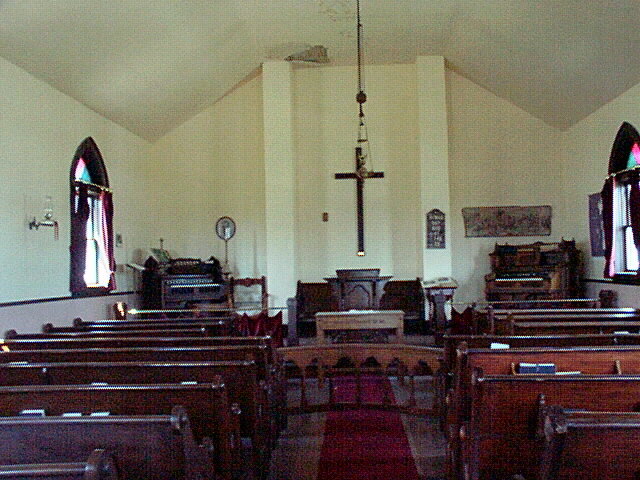 The highest pews are from the original church. The smaller pews, the cross, the communion glasses and the pump organ on the left are from Baildon United Church. The organ is fully operational and is played every year at the annual church services during the Threshing Bee. The pews at the front with kneeling benches are from St. Michael's Church in Moose Jaw. Also from St. Michaels's, we have the light fixtures and the ornate pump organ on the right. (Unfortunately, it is not working because mice have chewed through the leather bellows). A look at the front of the church from the entrance. One of two pump organs. This is the organ from Baildon United Church. Made by Eastey Organ Co. of Beattleboro, Vermont, USA. 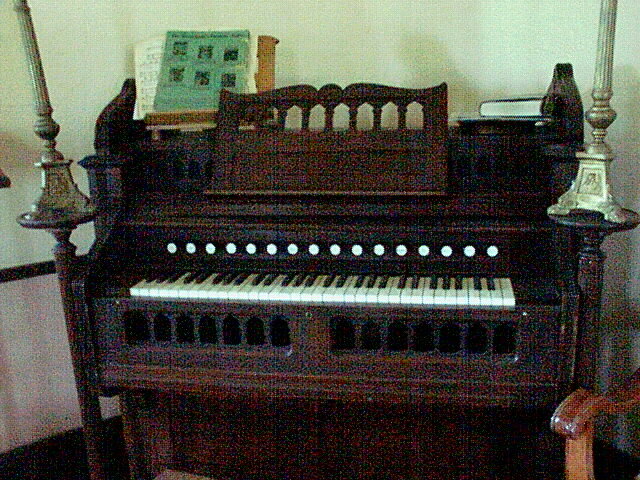 This organ is on the left hand side of the picture above. Marriage Certificate posted in the church. 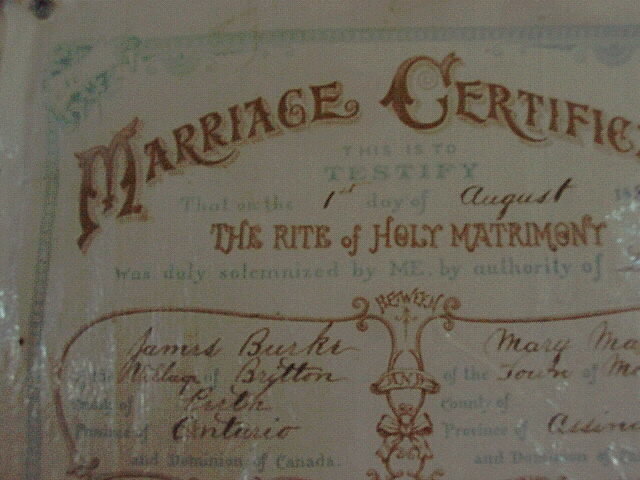 Mary Martin and James Burke were married on August 1st, 1894 by Rev. F.B. Stacey.